It is no secret that I’ve been less than impressed with Google Keep on Chromebooks since stylus inputs became a standard issue thing for Chrome OS. Beginning with the Samsung Chromebook Plus, Google made lots of promises about how useful Keep and pen inputs would be, only to leave the entire experience half-baked and without real updates for a long, long time. My two biggest gripes have been lack of true pressure sensitivity and lack of any sort of grid lines. Sadly, pressure sensitivity is still absent. Sure, the pen marks get thicker when the pen moves faster, but that is a sad substitute when pressure-sensitive styli have been around for over a year and a half at this point. On all fronts, Squid does everything better than Keep, save one thing: cloud sync. Keep is still so easy and wonderful for notes across devices, but the lack of features is getting exhausting. Better nesting in checklists, some basic formatting of text in standard notes, and the ability to set timers for individual checkboxes would all be welcome additions. Let’s not forget Keep’s tendency to pick up unexplainable input lag from time to time, too. Those things need to be fixed for sure, but, as a handwriting tool, Keep has been in desperate need of lined paper or grid layouts, and that has finally been addressed. Without much fanfare, this large functionality gap did get addressed recently, and it helps a bunch! 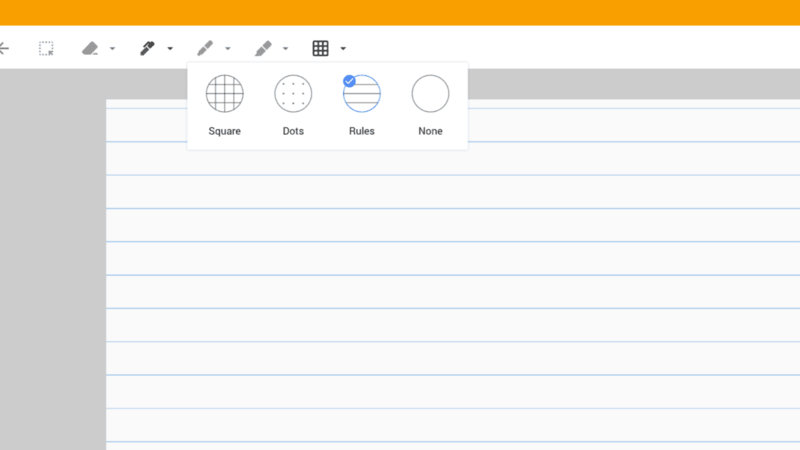 You can now select four different grid layouts for your notes when using a pen for input. Your selections are blank, a grid, a dot grid, and standard lined paper. Sure, Squid has a ton of options for this stuff, including score keeping layouts for baseball and other sports, but this is a massive step in the right direction for Keep. Having lines on paper helps a ton with simple layouts and organization when jotting down notes in a meeting. My handwriting is so bad that any little thing that might help keep things lined up is a welcome addition. We’re unsure of when this actually showed up, but big props to Michael Perrigo for finding it and bringing it to our attention! 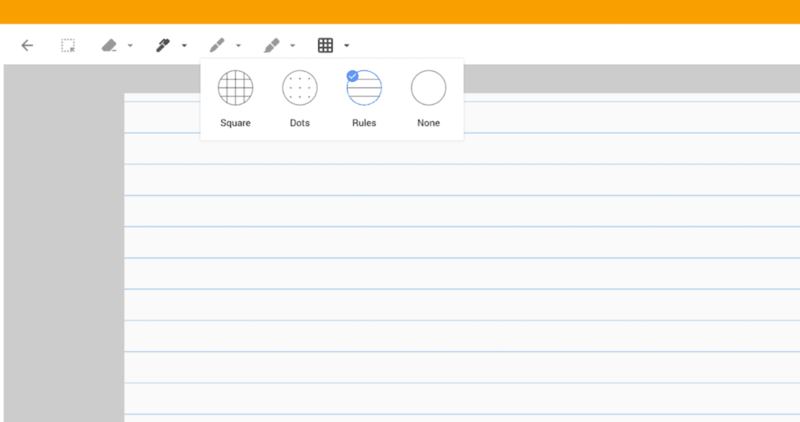 Here’s hoping Google addresses some of the other issues – big and small – soon so Keep can mature into the fantastic note taking application it has the potential to be.